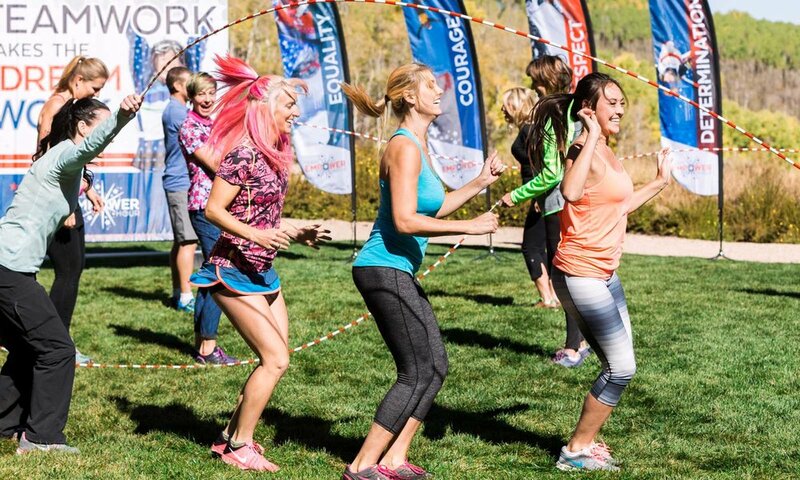 Olympian led experiences that combine team building, exercise, inspiration and fun. Sessions for your office, offsites and corporate events. Olympians know what it takes to dream big, plan meticulously and execute brilliantly. The lessons we have learned and executed on the Olympic stage can be translated into success in the business world. Let us show you how! We appreciate that your time, resources and money are extremely valuable. Each session has been developed to maximize your experience by filling each session with the right amount of skill development, movement and inspiration to empower your team to operate at an elite level. As Olympians we prefer to deliver our powerful messages and key takeaways through experiential learning. There are no chairs, no notepads, no desks and no lectures. Building relationships and strong teams means getting out from behind the computer screen, moving around, laughing and encouraging one another.